No matter who you voted for in the US Presidential election or whether you even voted at all, chances are, you didn’t see this one coming. We certainly didn’t. At this point it feels as if our nation–and the world–is still in the process of absorbing the surprising result of an unexpected Donald Trump Presidency. In this issue of “News From The Solar System,” we’ll consider what the election of Trump might mean for the future of renewable energy, especially solar power, in the US. President-elect Donald Trump is now shaping his leadership team and putting together his administration. The potential appointees for Energy Secretary include big utility and oil industry executives, and nuclear energy supporters. There is talk of Sarah Palin as Interior Secretary. As 2017 begins, Republicans will be in control of the Presidency and both houses of Congress. There will be an open seat on the Supreme Court, which President Obama has been blocked from filling, and will likely remain open for Donald Trump to fill after his Inauguration. Renewable energy advocates had been expressing concerns about Trump’s position on solar ever since he became a frontrunner in the Republican primaries back in 2015. WILL THE WHITE HOUSE SOLAR PANELS STAY? How solar energy will fare during a Trump administration is yet to be seen. Some have expressed concern that President Trump will do all he can to destroy the possibility of solar energy competing with coal and Big Oil. For starters, they expect Trump to remove the solar panels that were re-installed during Obama’s tenure, repudiating solar energy, and symbolically repeating the actions of former President Reagan when he took office after Carter. Clearly support from the Federal government has been important to the solar revolution in the US. Top on the list of questions about Trump’s energy policy is whether he will support, or try to overturn, the Solar Federal Investment Tax Credit. With the Solar Federal Investment Tax Credit in place, if you install residential or commercial solar today, you’ll earn a 30% Federal Tax Credit on the total cost of the installation. This Credit speeds up the timeframe for making solar pay for itself, thus encouraging Americans to invest in clean, green, and local solar energy. While the White House solar panels may go, solar advocates are pointing out there is still reason for optimism, because there is strong support across the nation and in Congress for solar energy. Solar energy is overwhelmingly endorsed by Americans. In a nationwide poll, 91% of people responded that the U.S. should place more emphasis, or the same emphasis, on solar development. American’s support for solar makes sense when you consider the many proven benefits of solar energy. Making the switch to solar is not just good for consumers and businesses seeking to increase their energy independence and reduce their climate footprint. Going solar is also good for society and for our environment. Environment America Research Policy Center completed a comprehensive report analyzing about a dozen credible studies on the benefit solar energy provides to all consumers in the United States, as well as to environmental and public health in the U.S. Solar energy creates green, sustainable, local jobs. The solar industry now employs more people in the US than the oil industry. Solar energy offers great help in the effort to reduce toxic pollution that contributes to global warming. More solar energy means cleaner air, reducing risks of public harm from air pollution. 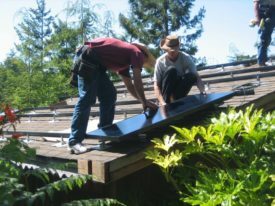 Solar energy advocates have begun to step forward to make the case that solar is, and remains, an extremely important resource for consumers and the environment. 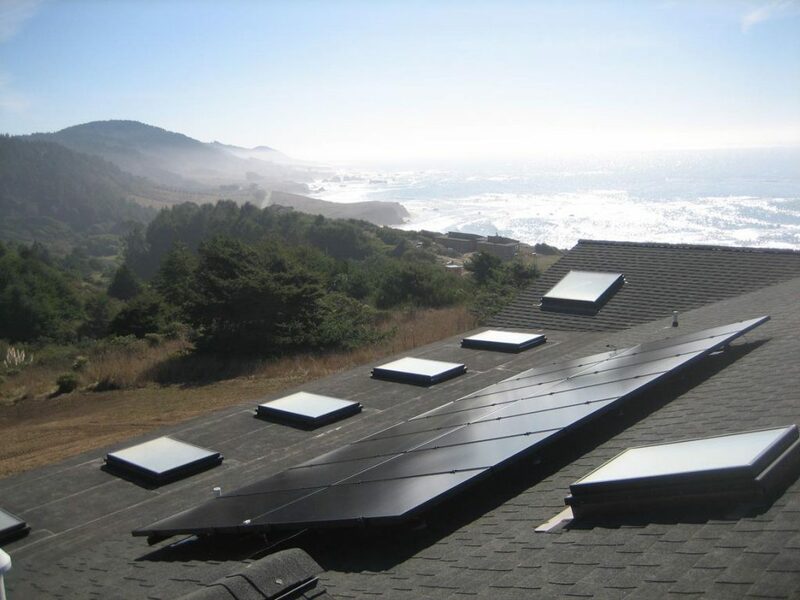 Bernadette Del Chiaro, Executive Director of the California Solar Energy Industries Association, recently penned a letter to CALSEIA members, including our team at Mendocino Solar Service. Del Chiaro, along with others, was interviewed for an LA Times article titled “Solar power proponents hopeful Trump sees benefit of growing industry.” Solar energy supporters cited in this article included consumer protection advocates, environmental organizations, solar energy companies, and Debbie Dooley, co-founder of the Atlanta Tea Party and national coordinator for the Tea Party Patriots. Dooley is known as an active supporter of solar energy. So, we end this issue on a concerned, but cautiously optimistic note when we consider the future of solar energy. On the short term, however, homeowners and businesses hoping to go solar and use the 30% Federal Solar Tax Credit should consider acting sooner rather than later.